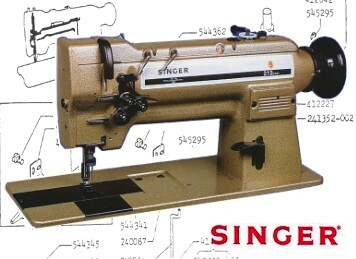 Two Needle Lockstitch Machine Manufactured By SINGER In the UK, The USA & Germany. We hold everyday items for these machines including Rotary Hooks, Tension Parts and Gauge Sets from 3/16" to 1 1/2". Don't Know What You Need? Or Your Part Not Shown? Then See The Parts Books Below or Call Us & One Of Our Engineers Will be Happy To Help Out. 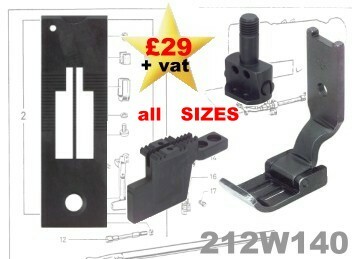 All 212W140 Twin Needle Gauge Sets are Priced At GB£29 while stocks last. Available in sizes 3/16" 1/4" 5/16" 3/8" 7/16"
1/2" 5/8" 3/4" 7/8" 1" 1-1/4" 1-1/2" & 1-3/4"